The month of May is not an easy month for me as it brings reminders of two very special people that I have lost through death. 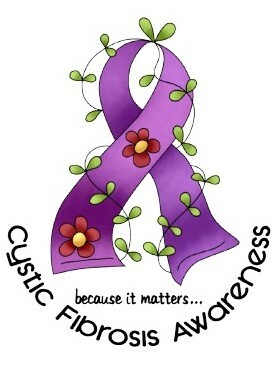 May is also the Cystic Fibrosis (CF) Awareness month, which is what this post is all about. Bear with me, although this is to bring awareness of CF, it too brings news of my next big adventure and I really hope you will read to the end. 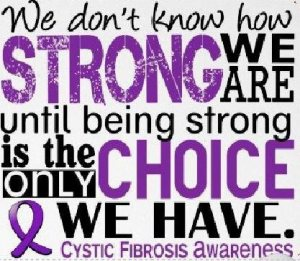 For the past 16 days my Twitter timeline and my Facebook newsfeed has been filled with activity from the various Cystic Fibrosis organisations I follow and it has been filled with stories and updates from people living with CF. It is a constant reminder to me and for the first time I fully understand something that Emma’s mom said to me one evening when we were talking. “Sometimes it’s a constant reminder and sometimes you just want to forget for a little while.” I get that now completely. Every time my timeline flashes with something new relating to CF it reminds me of what Emma had courageously endured in her life and sadly, the hardest part, it reminds me what I have lost. Often reading what others say brings tears to my eyes and I miss my best friend more than anyone could ever know. You see, Emma was my best friend who lost her battle with CF in May 1998. For those new to my blog, she inspired me to live while she was in my life and now even though she watches me from above, she continues to inspire me to live my greatest life and it is my greatest wish that one day soon we find a cure for Cystic Fibrosis. For 16 days I have been trying to write this blog post in order to do my bit to raise awareness for Cystic Fibrosis Awareness month. Last night as I climbed into bed I asked Emma to guide my words today as I write yet again and I know that no matter how my words come out, by the end of today I will post this piece. Some of you may be asking, what is cystic fibrosis? 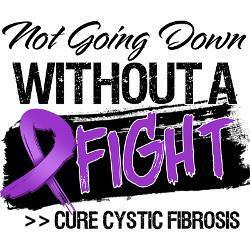 Cystic Fibrosis (CF) is a life-threatening inherited disease. – a 25% chance that the child will not have CF, and will not be a carrier. – Due to the frequent coughing of children with CF, it is often thought to be contagious. The fact is every child that has CF is born with it. It is an inherited disorder. – Parents often feel responsible for everything that happens to their children. It must be made clear that nothing parents do before or during pregnancy can cause CF. – People sometimes confuse CF with cerebral palsy (CP). Cystic Fibrosis does not involve the brain and therefore does not impair intellectual ability at all. – There is no cure for CF at this stage, although the drugs and methods to treat CF improve every day. This helps people with CF to grow up and lead active, productive lives. There is no cure for CF, and most individuals with cystic fibrosis die young: many in their 20s and 30s from lung failure. However, with the continuous introduction of new treatments, the life expectancy of a person with CF is increasing to ages as high as 40 or 50. Currently the life expectancy of someone living with CF is 37. This is something that is so close to my heart and it’s a cause I am passionate about and I will go to the ends of the earth to do what I can to help find a cure. Your support in any small way can make a big difference in the life of someone living with CF. – Simply share this blog post with your family, friends, colleagues and anyone you may know by resposting it on Facebook, Twitter or even on your blog. (Links to do this quickly and easily can be found at the bottom of this post). – Consider becoming an organ donor. People living with CF are given a second chance at life by those willing to donate their organs when they die. When you no longer need your organs, you could help save someone’s life after you are gone. It is a priceless gift. – Do a simple search on Google to find your local Cystic Fibrosis organisation to see if they are holding any events in your area that you could attend to help support them or make a donation to support those living with CF and to fund research in order for us to get another step closer to finding a cure. 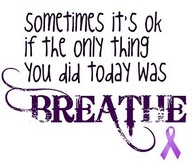 In the months coming up you are going to hear me mention Cystic Fibrosis often. With one of the Seven Summits already under my belt with a successful summit, I am prepared to climb the world to find a cure and my next adventure, currently scheduled for January 2014, will be heading out to Argentina to climb Aconcagua, one of the Seven Summits and only the 2nd highest mountain to Everest, outside of Asia. We are currently working out all the details for our trip and in June we hope to meet up with the man who will guide this epic expedition to the top of Aconcagua at 6,962m (22,841 ft). We have to wait until June because he is currently climbing Everest (he does this every now and again). In fact, they are hoping to summit on Monday, 20th May if the weather allows. As I sit in South Africa, I excitedly watch as snippets of communication come in from the slopes of Everest and I can’t wait for my turn to push myself to new limits. 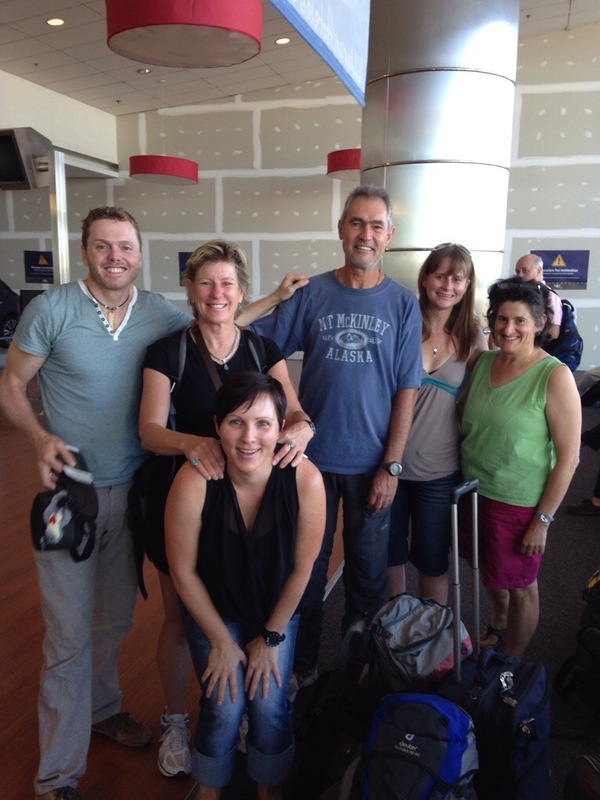 We have an incredible team ready to face this epic adventure together and the most exciting part is that THREE of my Kilimanjaro team members are signed up with me for this lifetime adventure. I will be raising funds again for Cystic Fibrosis and I will be climbing this mountain in honour and in memory of my best friend, Emma. In a small way, this is the little bit I can do to give a little something back in her memory. I hope you will join me and my team in the months to come on an adventure of a life time as I share the excitement of training, preparing and getting ready to face this huge mountain and then finally I hope you will follow my team and I as we depart for Argentina and I continue on my epic journey to climb the world to find a cure for Cystic Fibrosis.